Fragrances with natural and organic essential oils. We have an enticing variety of unique perfume oils for you to select from (see ‘fragrance descriptions’ below). Pure Luxury to enjoy in your home. Proudly display this Reed Diffuser and feel like you just upgraded to an ‘Eau de Parfum’, as it envelops your home with a beautifully natural Couture Perfume. PAIRFUM invites you to infuse your world within with a touch of loving elegance. Opening and displaying this Reed Diffuser in your room will feel like you just upgraded to an ‘Eau de Parfum’: it beautifully infuses your home with a natural and sensuous Couture Perfume. Fragrances with natural / organic essential oils that are healthy to live with for you, your family and the environment. A beautifully natural couture perfume for your room. 100 ml of the concentrated perfume oil serum will sumptuously fragrance your home for 3 – 5 months (yes, this is surprising but they are indeed much longer lasting than most). we offer you a large variety of wonderfully different fragrance oils for you to choose from. Enjoy selecting your ideal perfume. 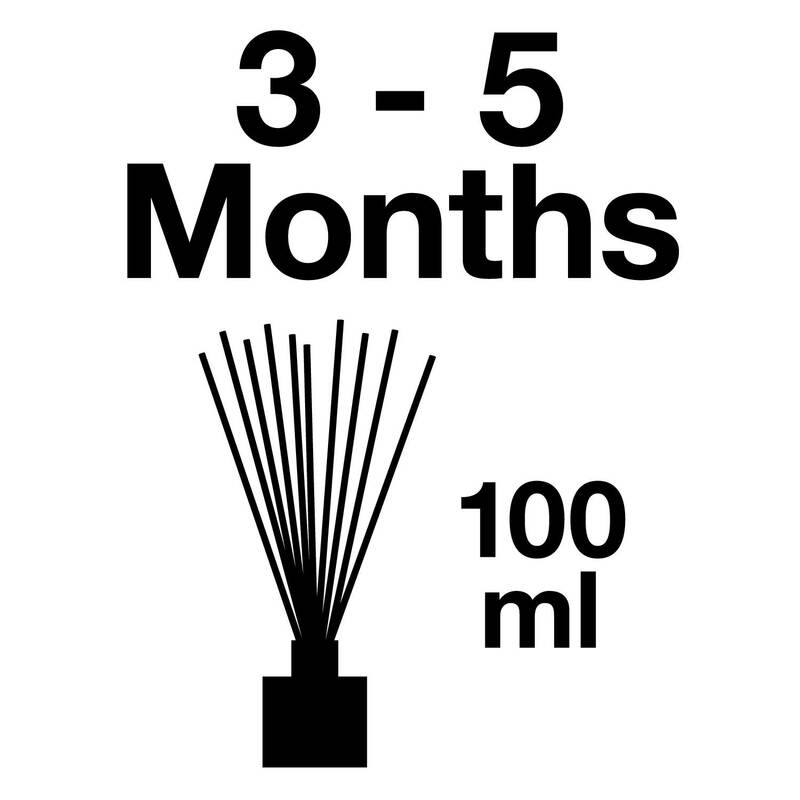 10 x natural, extra-long and strong black reeds make this reed diffuser suitable for large rooms. Regulate the fragrance intensity and longevity to your taste by using more or less reeds. This is a natural and healthy reed diffuser for you, your family and the environment. This reed diffuser will infuse your home with natural goodness making it an ideal gift or something special for your own home. 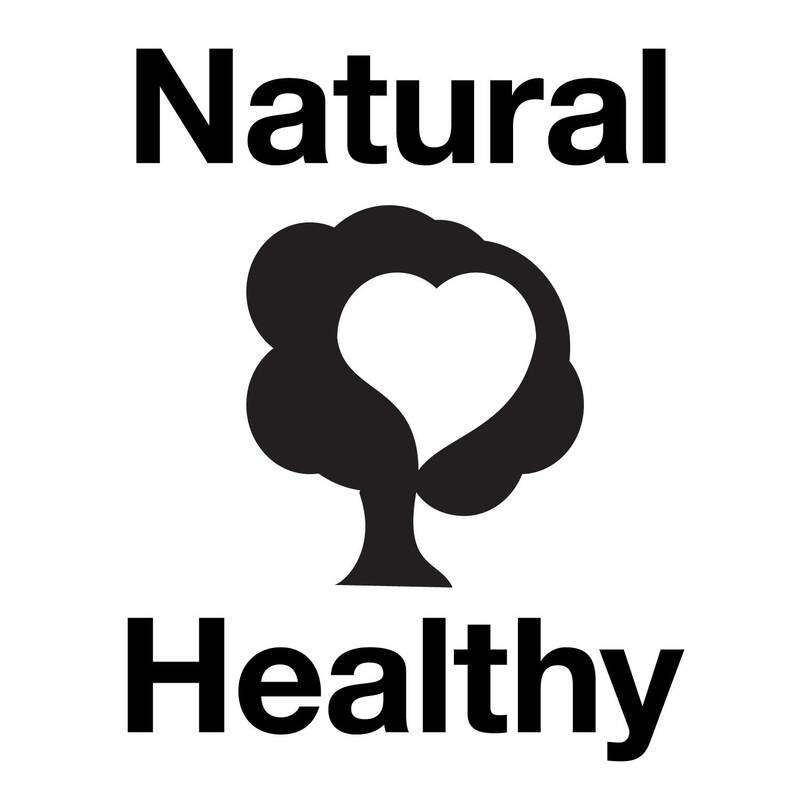 Why is non-VOC healthy ? All of PAIRFUM’s Natural Reed Diffusers use an innovative natural, biodegradable and non-VOC oil serum. VOC stands for ‘volatile organic compound’. These are chemicals that are highly volatile at room temperature and which negatively affect the air quality in your home. When using any of PAIRFUM’s reed diffusers or reed diffuser oil refills you eliminate the risks from VOCs. If you would like to find out more what VOC actually means, then please use this link to Wikipedia’s definition to find out more. Click here to read Wikipedia’s definition of VOC (opens in a new tab). Currently, nearly all reed diffusers on the market, use carrier solvents which are not eco-friendly and which are classed as VOC according to EU and US legislation. This type of reed diffuser and their diffuser refill oils are not healthy for the respiratory system, i.e. they attack your lungs, and they are harmful to the ozone layer. Below is an external weblink to a very informative article by the US Government’s Environmental Protection Agency. It describes the impact of Volatile Organic Compounds’ on the indoor air quality and the simple steps you can take to avoid these risk. 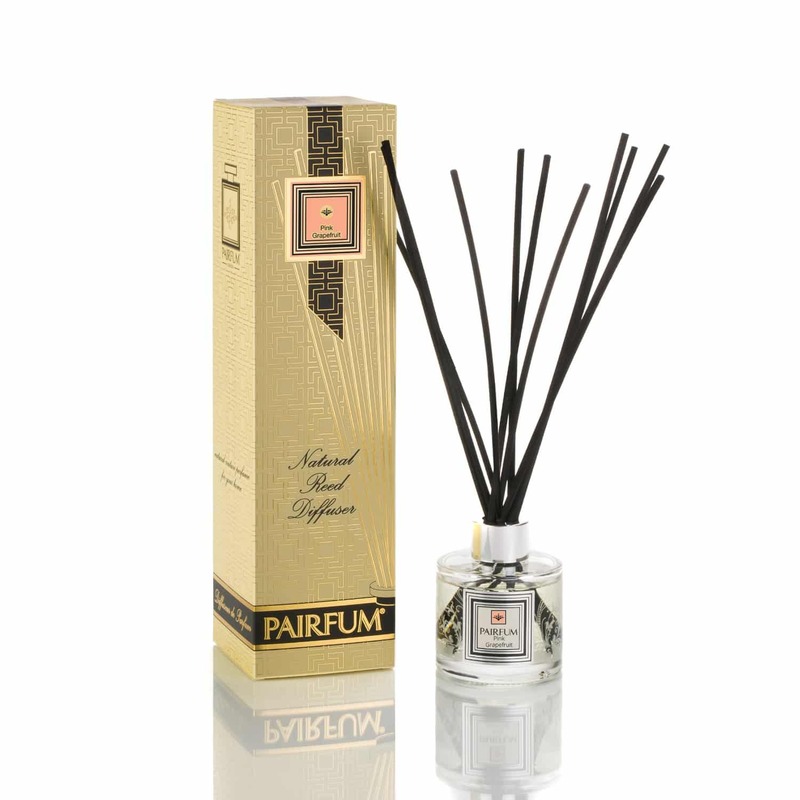 One simple solution is to only use Reed Diffusers and Reed Diffuser Refill Oils by Pairfum! Click here to read the article (opens in a new tab). After this excursion into science, you will understand why we are passionate about indoor air quality and created this range of PAIRFUM Reed Diffusers (and refill oils) which are both natural and healthy to live with. We believe in ensuring that Reed Diffusers are healthy and safe for you to use. You don’t have to worry about their safety any longer. 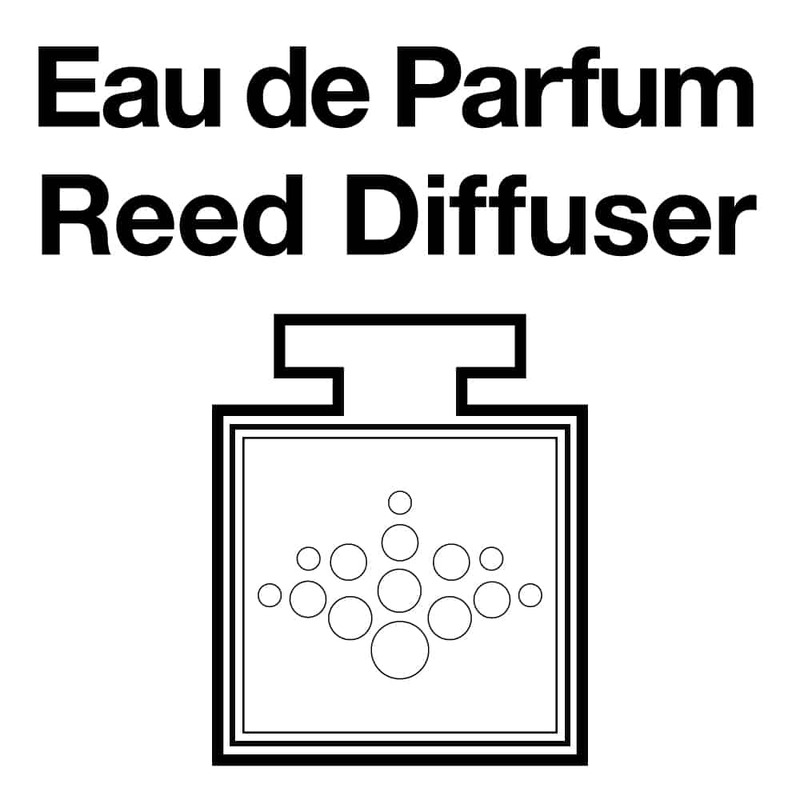 Here at PAIRFUM, we have solved this problem so that you can simply enjoy a beautiful reed diffuser fragrance at home. How does a Reed Diffuser work ? Open the bottle and insert the black reeds. 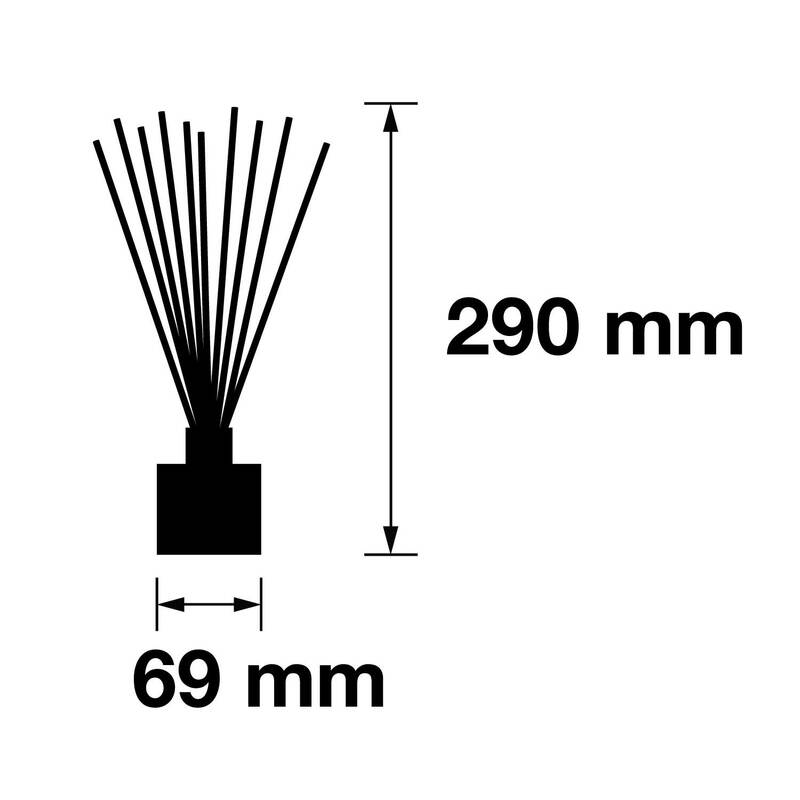 You add more less reeds depending on the fragrance intensity your require. We recommend inserting all 10 x reeds. The natural, black rattan reeds will then draw up the fragrance oil from the perfume bottle. The exposed section of the reeds, i.e. above the neck of the bottle, will then begin to evaporate the perfume to envelope your home with a fragrant atmosphere and sensuality. The natural, black reeds will draw up the fragrance and continuously envelope your home with fragrant atmosphere and sensuality. As more fragrance diffuses, it draws more scented oil up the reeds. Some people recommend rotating the reeds, but we believe this is no longer necessary. Eventually, the perfume bottle will be empty and needs to be refilled. 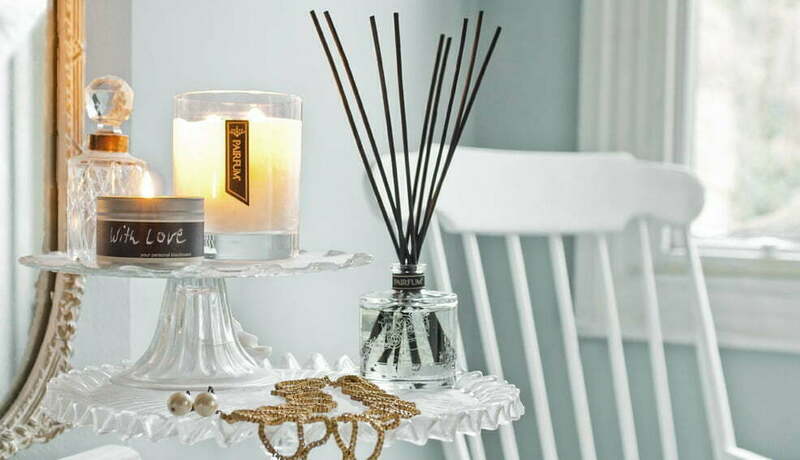 Remember to look out for Pairfum’s Reed Diffuser Refill Oils and natural rattan Reed Sticks. 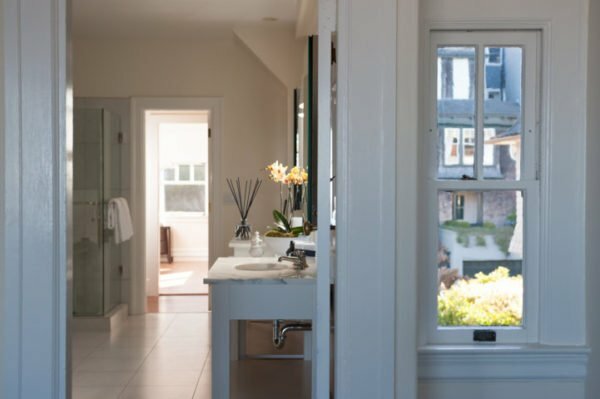 Modern Reed Diffusers have become an essential part of the decor in a home. They are an attractive accessory, alternative to an ornament or an artistic touch that adds a unique, creative element to an interior design. 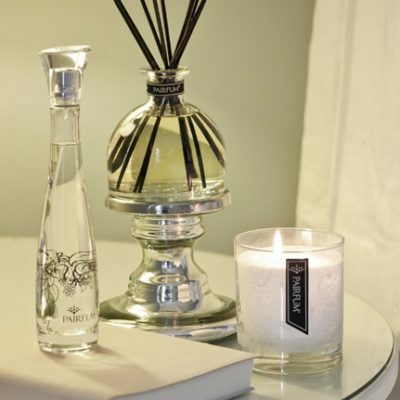 Similar to the way in which an Eau de Parfum amplifies our personality, a reed diffuser enhances the rooms in our homes with the creativity and style of its fragrance and design. We pay a lot of attention to how we decorate or style our homes through the colours, textures, fabrics, wallpapers, art and pieces of furniture we use. In the process we create beautiful havens for our senses: sight and touch. 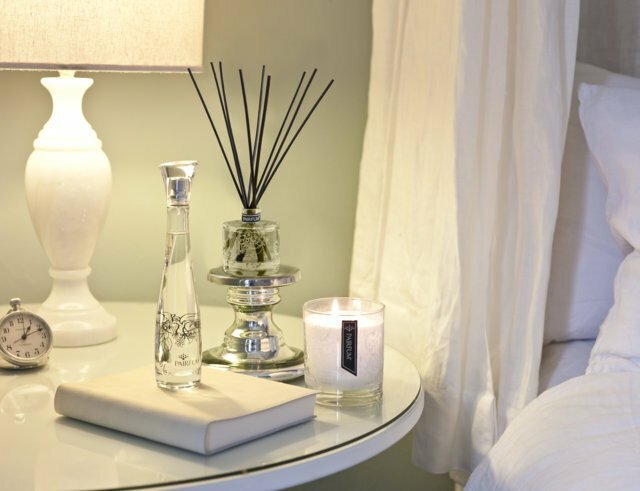 Home Fragrances, such as reed diffusers, perfumed candles, perfume room sprays or pillow sprays, allow us to translate this visual and tactile sensory experience into something exciting for our noses that complements the overall feel of a room. 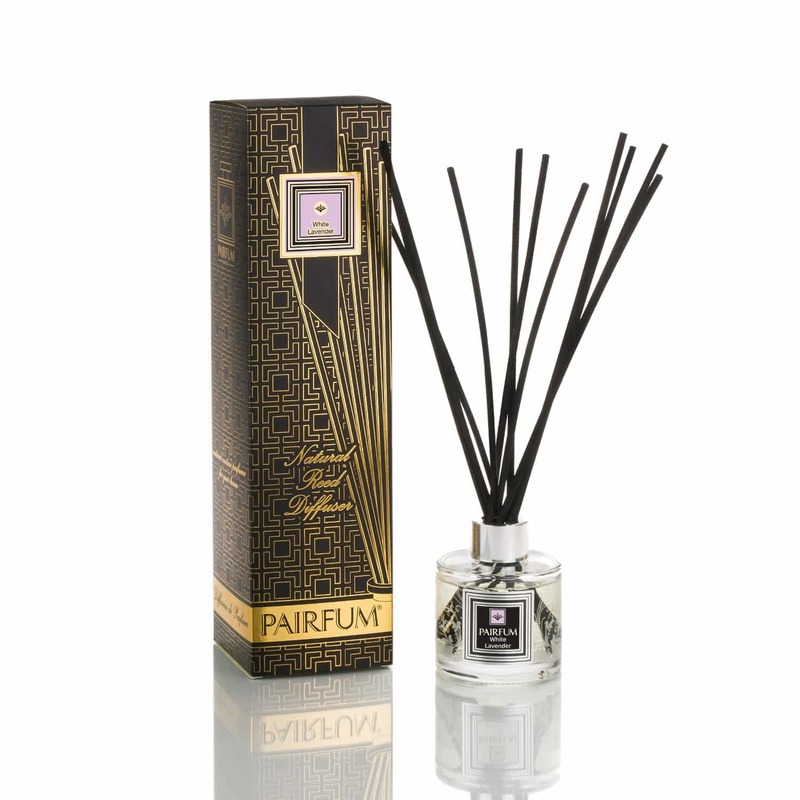 Treat all of your senses by adding a healthy reed diffuser by Pairfum London to the castle that is your home. Best reed diffuser I know. I can highly recommend it.